← Understanding God’s Old Testament Hidden Secrets! Understanding the Brotherly Love of the Lord in the Family of God! (Ver 1.1) Today is a lesson to me because I am challenged at times with turning the other cheek when people write me hateful self-righteous comments on my website, my flesh wants to strike back, but my spirit feels compassion and love for them. This is a very constant internal struggle that we are all faced with over the course of our lives. This is a battle of our wills, between what our flesh wants and what our spirit wants to do and as long as we live on the earth this is a never ending cycle. Satan is bent upon getting real Christians to come out of the spiritual dimension and to get them back into the physical fight with our brothers and sisters but, we must learn that there is a higher path and ground to stand on. So when a commenter left me a message yesterday telling me I’m not a Christian, my flesh wanted to write them back and tell them they were a self-righteous idiot to stand in the seat of judgment against a fellow Christian. They didn’t know me, so they had no idea what I was or was not. They obviously just read some words on a web-site and I guess I didn’t believe like they did so they have concluded I don’t know God. Wow, I find that attitude very humorous. People can act so foolishly and not even know it. The Bible says in Isaiah 5:20 “Woe to you who call evil good and good evil”. In the very next verse in Isaiah God says “Woe to you that are wise in your own eyes”. In other words God calls someone who judges incorrectly and raises their own self higher than others, a person who is in jeopardy of being judged by God. So rather than doing what my flesh wants to do today, I will teach on love towards your brother. In doing this I will feed my spirit on the right things to do and build up myself to become stronger in this area. You see I technically do not know if my commenter was my brother or not, but I will give them the benefit of a doubt since they were reading a Christian’s blog about Advanced Spiritual Bible study. To be kind means that you have the opportunity to not be kind at times. It would seem that this occurs more often than you might think. People can be easily misunderstood; their words can be taken incorrectly very easily. Reading someone’s writing is not like hearing a person’s voice where you can pick up on voice changes, inflections, sarcasm, humor and emphasized or deemphasized expressions or whatever. I have found that writing online is probably harder than just talking to someone in person because of these challenges. So while I do not intend to offend anyone, I know sometimes I do. The term translated as “kind affection” is a Greek word that is interesting to note in this verse. The word means an “emotional cherishing or fondness of a family member”. Did you know I was in your family that is if you are a Christian? Obviously if you are not a Christian you are not in my family which is the family of the Most High God. I am in the family of Jesus Christ and I know this for a fact whether you do or not. Did you know that God has a spiritual family? Christians need to learn this first and then learn how to treat their fellow family members with kindness. Here in this verse we have another word that is translated as love, but is a different type of love. The Greek word “philadelphia” is the word that is translated as “brotherly love”. Brotherly love is a “fraternal love” of your family again. 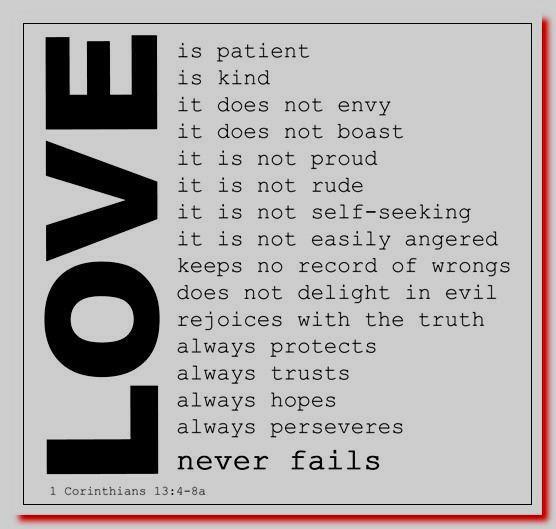 If you did not know that there are different types of love in the Bible you should do a study on that subject. Most intelligent people understand that you love your wife differently than you love your sister. Unless your sister happens to be your wife, like Abraham’s wife was. In John 3:16 it says “God so loved the world that He gave…”. In John 3:16 the Greek word for love is “agape”. This word in John 3:16 is the God kind of love where God loved us while we were even sinners and died for us when we did not deserve it, earn it, or ever could. The Bible tells us that God is “Agape” in 1 John 4:8. It does not say that God has Agape, it says He is Agape. Then if you are a Christian this Agape is now a part of your spirit. Agape is an unconditional God kind of love that every Christian possesses in their spirits. However, getting “Agape” out to the external is a different subject entirely. Philadelphia is similar but yet different. It is kind of like the saying you can choose your friends but you cannot choose your relatives. Well sometimes your natural relatives can be the most challenging to love, so it is in the spiritual family of God also. In the real world you can walk away from someone being hateful, but if this is your brother doing this at the family dinner, then you have an opportunity to overcome the same internal challenge that I have been going through today. Do you retaliate or do you try to smile and say something kind. Wow, that is a bigger challenge than you can imagine. Next, in this verse it says “in honor”. This is an interesting concept. This word in the Greek means “something valuable” or “a great price paid”. This word in 1 Peter 2:7 is used to describe Jesus Christ as being the “precious” stone that the builders rejected. This is the exact same Greek word used in Romans 12:10 as “honor”. Anything that is “precious” in the eyes of God should be precious to you also. I believe that God is saying to treat others as being precious as you are. Wouldn’t it be a nicer church if people would just do what God said? I hope and pray that someday they will become a doer of the word of God and not just a hearer only. The last phrase in this verse Romans 12:10 says to “prefer one another”. This is another amazing truth that is very profound. This Greek word translated as “preferring” means to “lead the way for others”. Wow, is that a strong statement. So obviously when someone hits you verbally and you want to hit them back, God instructs us to become an example to them so that they can be directed into the right path. I use to have a sign in my office that said “He who leads when no one follows, only takes a walk”. So today I am attempting to take a few people on the internet down a path of brotherly love and I am hoping someone will learn to follow. 1Co 11:1 Be ye followers of me, even as I also am of Christ. I’m not Paul and I’m certainly not Jesus, but I’m trying to follow their examples. The Christian way is a complex life style that can be simplified if you approach your existence using God’s words to guide you into the right things to do. Because people do not know the Bible they do not follow the Bible. God says in Hosea 4:6, “My people are destroyed for a lack of knowledge”. Instead of getting the right knowledge from God, a lot of the time people are deceived into a distracted priority for a lesser way of learning and doing. I am attempting to come up to a higher spiritual dimension today and to set an example of what to do when someone calls you names unjustly. This will probably not be the last time that someone does this to me, so this will probably not be the last time that I write about love on this website. I trust that those of you, who can see the difference, you have some understanding in what kind of spiritual battle I have been going through today. Now that I read the Bible about love and looked up the definitions, reminding myself of the truth, I have a better and stronger resolve to do the words of God towards others. So if you have been a faithful reader of this website, I apologize for writing a Bible lesson directly and mostly at myself. I hope that you will display some grace towards the things that we probably all face at one time or the other and to my brother who left me this hateful comment, I will tell you that I love you anyway and I will pray that you will do the same in the future. God Bless! Posted on January 17, 2011, in Bible Basics, Bible Study, Understanding and tagged Bible, Christianity, Church, God, Holy Spirit, Interpretation, Jesus, Love, Religion, Revelation, Satan, Truth, understanding. Bookmark the permalink. 2 Comments. Thanks for giving me some positive words of encouragement. I greatly appreciate them.